Oh dear! Great picture but always wear a hard hat when using a post driver! 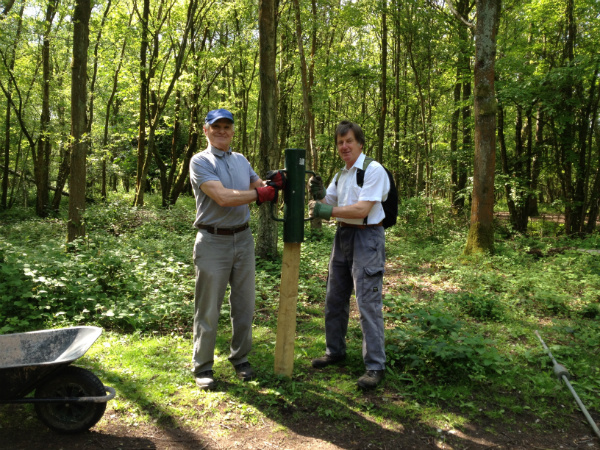 While the rest of the team busied themselves clearing (and getting stung by) nettles, Green Gym's two Barry's managed to get the macho task installing twenty "nesting birds" signs. Helena, Denise and Toby along with both Barry's were our volunteers for the day, many thanks for all the hard work.